How much does the average author earn publishing their book? This is a pretty easy question to answer, but it might discourage you. Further, the way that some authors overcome this discouragement is fascinating – almost to the point of willful insanity. If you’re hoping to find an agent and go traditional, the typical advances right now are between $5000 and $10000, and most don’t earn out, which means, that’s all you’ll get (plus, an agent will take 15% of that). Let’s say the average is $8000. Not bad, but not so great either for all the work you’ve put into writing a book. But, you get $8000 plus you don’t need to pay for cover design, editing and marketing (at least that’s what most authors assume, anyway, which is a mistake). So it can appear to be a good deal. At least you’ll make some money. Self-publishing has its benefits: more control, more agility and speed. You can focus on writing and publishing, instead of waiting around to hear if somebody wants to publish you. But it also has its risks: you need to have a well designed book, a nice looking website, and you need to set up a marketing funnel. You need to know who your readers are and how to reach them. Luckily, it’s never been easier, so if you’re willing to learn and spend some money, you can give your book every chance at success. That said, the average author spends $2000 to $5000 to publish their books, and few authors earn any money. (Books get cheaper to publish the more you learn. Publishing doesn’t cost me anything, because I format, edit and design myself… but your first book will probably cost money, because it involves setting up everything). You can spend much less if you want to, but it’s hard to get quality work done on the cheap. However, it’s also possible to have a smash hit with a mediocre cover. Not easy, but it happens, so if you don’t have money to publish, and you’re getting rejected by agents and publishers, do the best you can and put it out there. 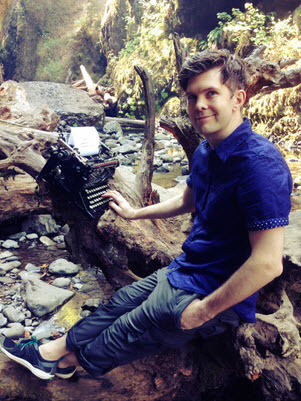 Exclusive Bonus: Want to make a living with your writing? 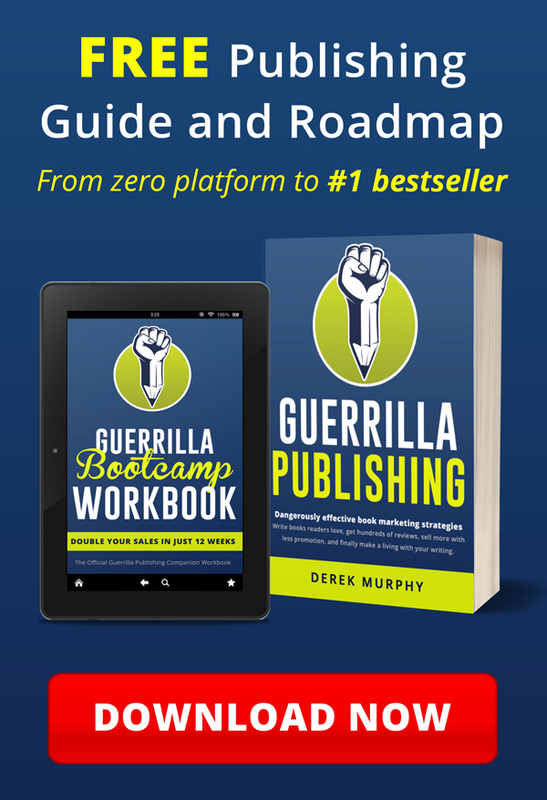 Download my FREE book launch checklist and discover the step-by-step publishing roadmap I use to launch bestsellers. 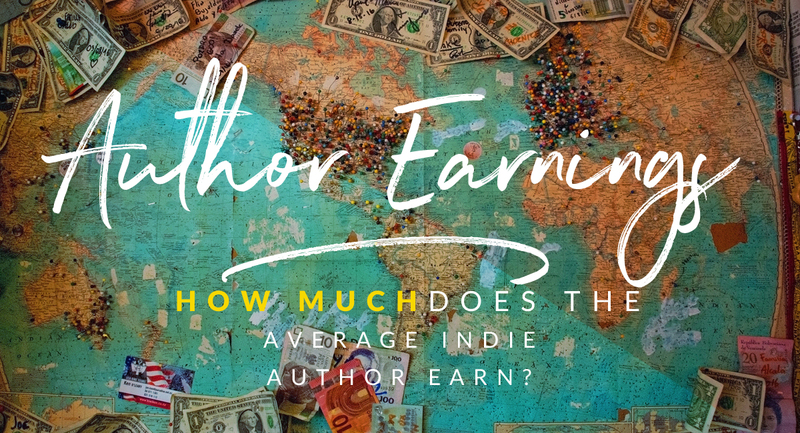 How much does the average INDIE author earn publishing their book? This question is more interesting. How Many Books Does an Indie Author Sell? I agree with the figures Chris has heard, generally under 250, and probably under 100 (ever). Most sources will tell you the average is skewed by a handful of indie authors selling tens of thousands of books. 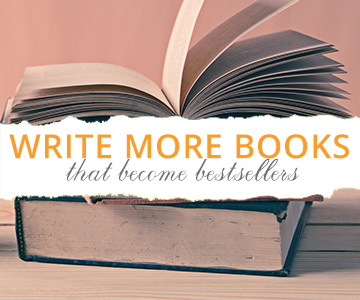 Because, if you compare yourself to the crap other authors are putting out, and recognize that your book is better looking, better written, and you are more serious than those other authors, you can expect greater success. To me, it’s not useful to average ALL self-published books. Include all self-published books if you wish to pat yourself on the back for beating that number, or if you wish to discourage authors from self-publishing. How about those ‘authors’—if you can call them that—who view writing as a get-rich-quick-with-little-effort scheme, publishing pamphlets. Is this a realistic comparison? Even many ‘real’ writers have published experiments, such as short stories and novellas, putting little effort into the book, hoping to learn something from the sales (or probable lack thereof). Surely, this shouldn’t be factored into setting a benchmark. Then there are books with major issues with the storyline, plot, characterization, spelling, punctuation, grammar, flow, writing style, formatting, etc.—I’m thinking of those so drastic as to greatly deter sales. Suppose that you have a fantastic cover. Should you compare your book to those whose covers convey the wrong genre? It seems like other books that clearly signify the content would provide better expectations. Similarly, if you have some great marketing plans or prior marketing experience, should you compare yourself to all the newbie authors who do virtually no marketing, or whose marketing makes very little impact? 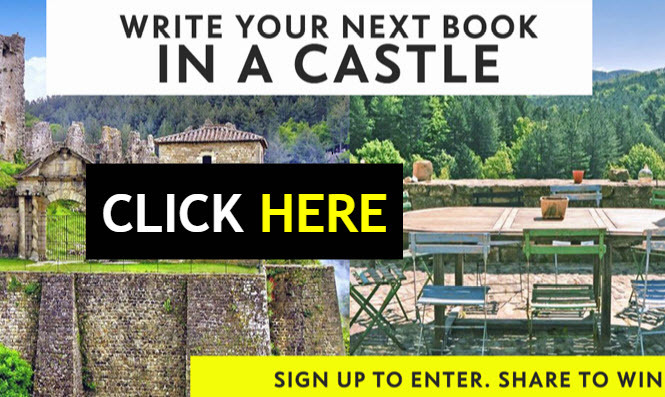 Are you a committed author, planning to create several quality books? Then don’t look at the one-book wonders (i.e. an author only wrote a single book) for your basis. On the one hand, it’s absolutely true: if you want to be successful and sell more than average (100 copies or so), then you need to do everything much better than everyone else is. Or more specifically, you need to choose other successful books who will be your nearest competition, books that are doing well, and you need to do everything better than they are doing them. That’s actually a really smart practice for producing your book and building an author platform. The main drawback, I think, is that every author thinks they are doing everything better than everyone else. Here’s where things get questionable. Chris has basically redefined the meaning of average to only include successful indie authors. It’s like saying, “the average successful indie author makes much more than $1000.” And that’s absolutely true. I would actually say that selling a thousand books is the test of indie success – because even if you have a huge network of friends and family, you probably can’t sell 1000 copies unless you’re doing enough right to sell to some strangers too. But how many indie authors sell a thousand copies, ever? My original guess was less than 10%. But it’s actually far less. This isn’t actually that hard to figure out. EDIT: This is old math… there are a lot MORE books now. When I wrote this post in April 2016, there were 4,572,429 books in the Kindle store. If you get above a ten thousand rank and stay there, you’ll sell about 10 copies a day. Higher than 100,000 = 1 sale a day. Higher than 10,000 = 10 sales a day. Higher than 1,000 = 100 sales a day. Higher than 100 = 1000 sales a day. *If you’re in Kindle Unlimited, you might earn more than that though. My books were in the top 10000 this month, I sold about 600 copies (15 a day), and my earnings showed $623.91 – but I actually got paid over $1400 – because of all the “page reads” from people in KU. That’s not bad, considering I published my first fiction 3 months ago. To reach a thousand books, we’d need to stay around the 10,000 mark for three months. That’s really not easy to do. Or we could get above the 100 mark for one day (though not necessarily I think, rank is funny and hard to predict). Let’s pretend that there are 10,000 books in the top 10,000 (I’m not exactly sure that’s how Amazon works, but it’s a good estimate). So out of 4,572, 492 books, 10,000 of them are doing OK. If we throw away all the junk, you’ll need your book to out perform the other books ranked in the top 10000, so you become one of the top 10000 books. (Incidentally, I’m not saying all those other books are junk – they could be amazing books, whose authors just don’t know how to keep them visible). So what percent is that? 10,000 is roughly 25% of that. So, could we say that .0025% of authors are successful (sell at least 1000 copies). Because there aren’t really 4,572,492 authors. There are that many books. But some authors publish 20 or more books. I’m going to guess (completely randomly,) that the average number of titles published per authors is 4. This is arbitrarily chosen but probably not far off. We should also remember that, probably as many as half of those books don’t actually stay in the top 10000 for three months. It’s more usual to do a book launch, boost your rank for a few days, and then disappear. If you sell 20 or 30 copies in one day, you should break into the top 10000, but you’ll only have made around $50. (And you probably spent more than that on your book launch). Also, the top 10000 include all the Kindle books making any money, both traditional and self-published. 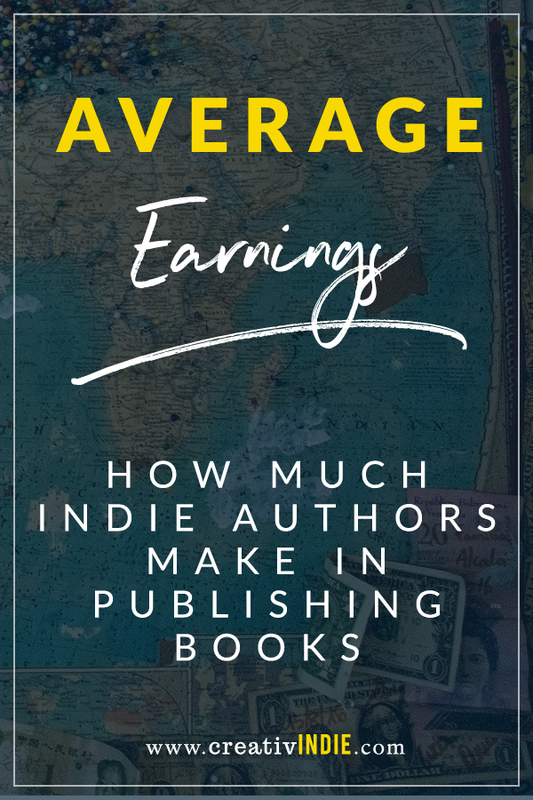 According to Author Earnings, less than 45% of those author-earnings are going to traditionally published authors – the rest go to indie and small presses. BUT, keep in mind, indie authors are earning 70% of the profit, while traditionally published authors are making more like 10%. If you get a deal with a small press (especially one where you had to also pay for a package of services) I think your chances of success go down even more, because they aren’t usually great at design or marketing (the two most important parts of publishing, besides the actual writing). Because the danger, is that every author assumes their book will be successful – that they are in the %.000625. They assume every other author is just crazy or doesn’t care enough or work hard enough. But the truth is, there are millions of authors with heartfelt certainty that their books will be or should be successful, and they just can’t get anybody to take a look at it. And remember, there isn’t this huge range between making some money and making less money. Sure, you could be in the top 100,000, and sell a copy a day, but you’d have to do it for three years before you sold a thousand copies. If you have one book, you’ll probably be working for four years (writing, publishing) and you’ll probably spend more than $1000 publishing, so even after you reach 1000 copies you’re probably not earning money. Only the top 10000 books, the %.000625, are making money. Is it discouraging? I hope so. Not that I want you to give up. But I do want you to grow up. Because I want you to get into the top 10000. It’s an exciting, fun place to be. For me, I needed to build a big marketing funnel and website and mailing list, and I’ve only got one book that consistently stays above 10,000 (the others are around 20000). But I have friends who are in the top 500, and others who are in the top 100, selling thousands of copies a day. And these two friends, they didn’t build the marketing funnel I did…. they just published their books and did their best. They were writing in extremely popular genres, and their books took off. The success or failure of your book depends on the genre and the available pool of readers who are looking for something just like your book. Some genres sell better than others. 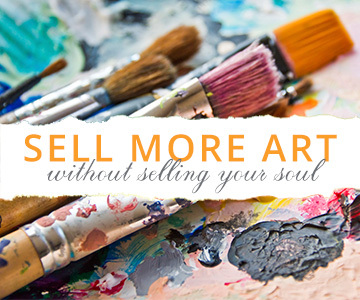 Romance, thriller, adult coloring books and children’s books, science fiction and fantasy – those can sell really well. If you wrote a book but are not sure which category you fit in, or say something like “my book doesn’t really fit in any genre” you might have a problem. 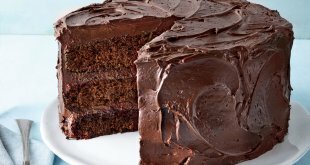 And even if that’s the case, you want to figure out the closest match, so you know what readers you need to be appealing to. Otherwise, you’ll be doing shotgun marketing, which is to blast your book out to everybody and hope it reaches the right person (it almost never will). For example, when I wrote Shearwater, a young adult mermaid romance set in Ireland, I targeted people who liked young adult books, mermaids, and Ireland. When my offer got in front of them, it felt tailor made and was more likely to get their interest I do that for all my books. However, I’ve since learned that there aren’t that many readers who like mermaid books. So on the one hand, it was easier to be noticed among the competition, but on the other hand, the pool of readership was much smaller. I also realized my book isn’t like most mermaid books, it’s more like a dark fantasy. So A) typical mermaid readers might not enjoy my book, which means I’m targeting the wrong people and B) the readers who really might like my book need to be approached in a different way – because I’m excluding them from my targeting, and even if they see my book they might assume it’s not for them. For example, “Readers who loved Twilight and Hunger Games but are looking for something darker, with more magic will love this star crossed romance about preventing the mermaid apocalypse.” (That’s not a great example, but you get the idea). Use words that attract the right readers. You can pull words your readers actually use from your reviews and put them in this section. (Hat tip to Bryan Cohen for the advice). 2018 UPDATE: Mermaids are popular again since Shape of Water came out, so I’ve changed my targeting again to match what people are looking for. I have another book that’s a time travel dystopia… it has creatures that are kind of like zombies, but aren’t zombies…. so I didn’t use that word. Which was a mistake, because I started getting reviews from people who liked zombie books. They’re close enough to zombies that readers who like zombies might like my book. However, I found out today a reader was avoiding that book, because she doesn’t like zombies. It’s tricky, but you need to experiment with choosing the right words that define your ideal readership. Once your book gets up in the sales ranking, it’s a combination of your cover, the description, and the reviews that will either keep the book selling, or things will dry up and you’ll start sinking again. Nothing about your book matters until someone can see it. Not the cover, not the title, not the genre or story or topic. If nobody’s seeing it, it doesn’t matter. And once you drop below 100000, you’re selling less than a copy a day. Unless YOU are driving traffic, by talking about your book, blogging, doing publicity or advertising, unless you are doing that, all the time, you’re invisible. Book sales depend on visibility and conversion. For visibility, you can either use organic SEO by including keywords your readers are actively looking for, or paid advertising. And that’s the problem – there are hundreds of thousands of authors out there doing the same things, competing for the same space and attention. I don’t think it’s reasonable to reject the vast majority of authors as “out of average”, when theirs is the more common publishing experience. I don’t think it’s fair for a group of successful indie authors – the %.000625 – to define the “average experience”, when the truth is a teeny tiny minority of authors is making any money, and for the vast majority of authors, publishing is an expensive hobby. That’s often why newbies get frustrated when everything is much harder than they expected. However, I’ll concede here that success isn’t always quick: most authors publish, are excited, aren’t happy with their sales, and over the course of several years learn enough about book design and marketing to improve. Publishing your first book might be, as it was for me, the first step in a long-term education into the publishing industry… and that’s FINE. It is true that many authors who stick with it for several years, and keep publishing (especially if they can get up to 10 books), find that all their hard work suddenly takes off and they make it big. But it’s also true that some authors keep writing, and keep publishing, and have 30 or 40 books out there that nobody is buying. And that’s really sad. Because they’ve put a lot of effort into their writing. It’s usually because of the covers, or the description, or a lack of natural traffic, or the fact that they’re still writing books they want to write without considering what readers enjoy. Books that are successful, always and without exception, are popular. There is a huge number of readers who enjoy a certain type of book. If you want to make money publishing – and you should want to, because all that means is people like your book (and you don’t want to publish something nobody likes, do you?) – then you need to know your market, and you need a book that will satisfy them, and you need to present it in a way that lets them know that, and you need to get it in front of them. So to answer the question, “how much can I expect to earn as an author?” my immediate response is NOTHING. There is no average, there is only the exception. And you’re heading towards a rude awakening. And that’s great – if you’re willing to do the work, reach your readers directly, position yourself and your books well, write multiple books, and stick with it with tireless enthusiasm and limitless self-confidence for a few years, losing money all the time. Of course, you don’t have to do all of that. 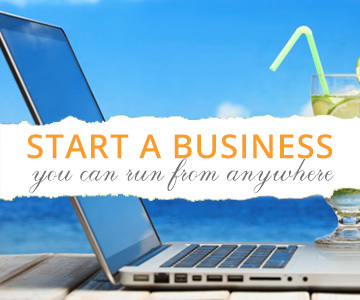 You can build an author platform quickly, before you launch your first book, and make your first book earn money right away. But you have to do everything right, and it’s often expensive (I know a lot of successful authors who barely break even – so they’re excited to be allowed to basically work for free.) Working really hard for a long time without getting paid for it, because artists do it for the love not the money, is the average experience of SUCCESSFUL authors. Most don’t come close to breaking even. If you’re committed to being a successful authors, my free resources and videos will help. But there’s a LOT to learn. If you want to learn how to get into the .000625 percent much faster, you should read my book Guerrilla Publishing. It’s available on Amazon, but if you sign up to my list I’ll send you a free copy, and include the new companion workbook and book launch roadmap I just finished with all my best book marketing strategies (this is advanced stuff you won’t find anywhere else). PPS) Is my math, logic or understanding of the industry wrong? It could be – if so please leave a comment. Or do you object to my pessimism – is it better to tell all authors that they can make money even though reality is against them? Obviously I’d never tell an author not to publish, but I do want to help them make informed choices and give them a real chance at success. I’d love to hear your experiences – how many books have you published and how long did it take you before you started earning money?